Ultrawarmth Wet Hoods feature high-loft Ultrawarmth Celliant® Infrared Thermal Technology embedded in the inner fabric. Celliant® is scientifically proven and FDA-determined to conserve body heat and accelerate thermal recovery. ELASTEK outer fabric provides heat retention and superior warmth. 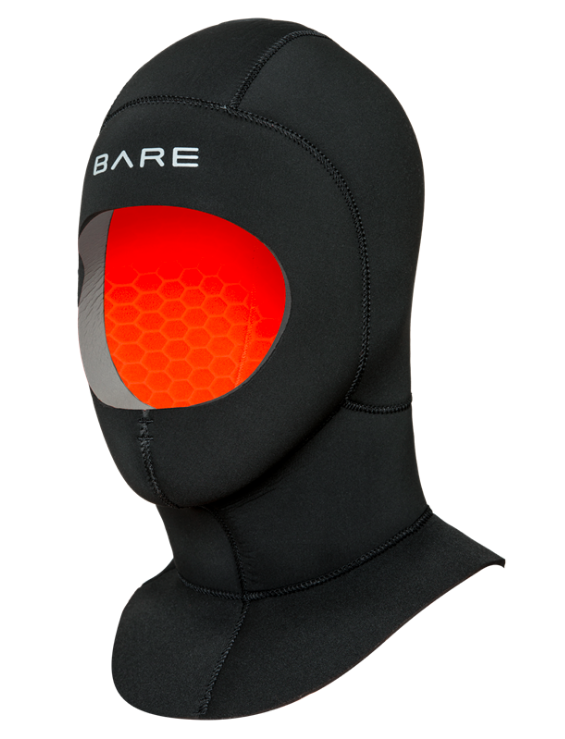 Designed specifically to mate with the BARE wetsuit collar, Ultrawarmth Wet Hoods fit comfortably, resist flushing, and are excellent additions to any dive kit.